a couple of weekends ago, mike and i spent a few glorious days on the shores of lake michigan in door county, wisconsin. we stayed in a beach cottage with mike’s nana, parents, and sisters while the fogarty six (his aunt, uncle, and four cousins) stayed in the cottage next door. the four cousins – all girls, ages six and under – certainly kept us busy. along with various other beach toys, the girls had two orange plastic “brick” molds for sand castle building. within minutes of stepping foot on the beach on day one, mike went to work. 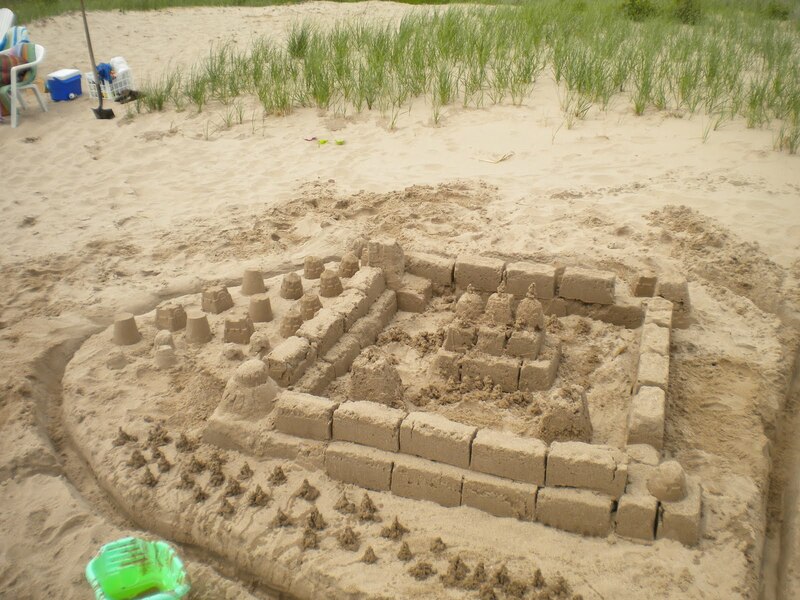 we built an epic sandle castle, complete with a city wall, moat, and lots of trees. 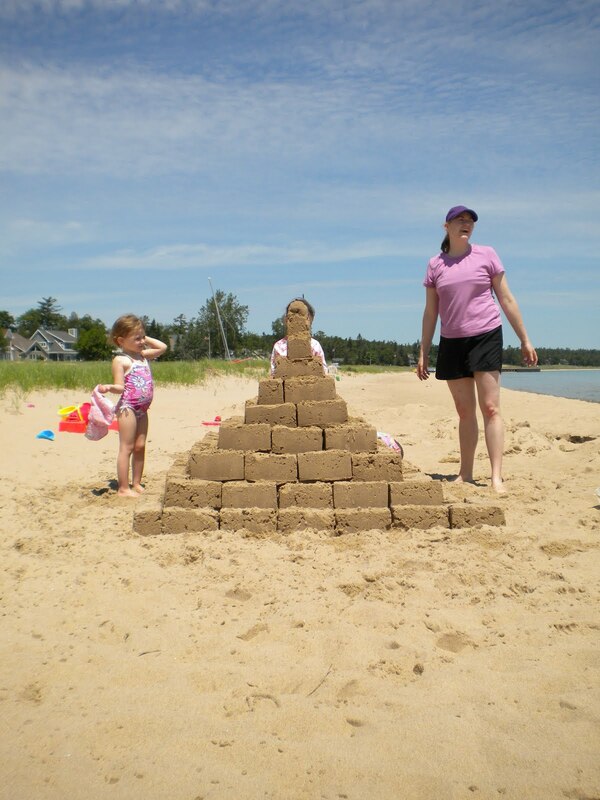 but then, the epic task begain; six-year-old maeve demanded a pyramid as tall as she. for awhile, it seemed like it just wasn’t going to happen – sand was drying on the lower levels and we had some erosion issues – but we did it! a pyramid as tall as a six-year-old; not too shabby! 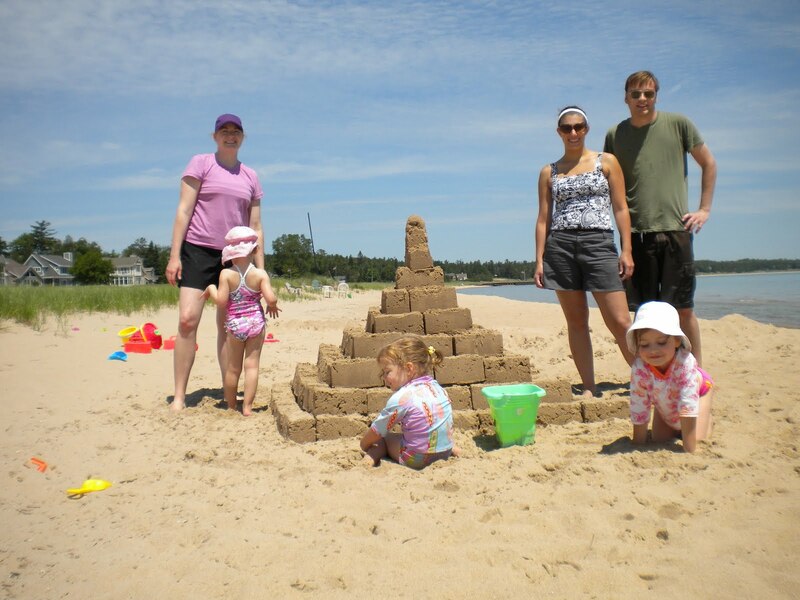 This entry was posted in Fun Stuff and tagged beach, fun stuff, sand castle, vacation. Bookmark the permalink.